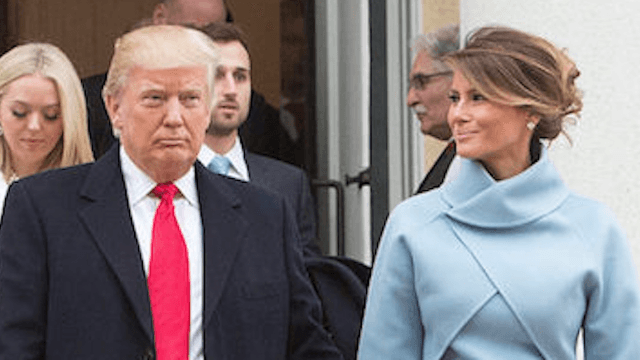 Melania Trump channels Jackie Kennedy with her inauguration outfit. 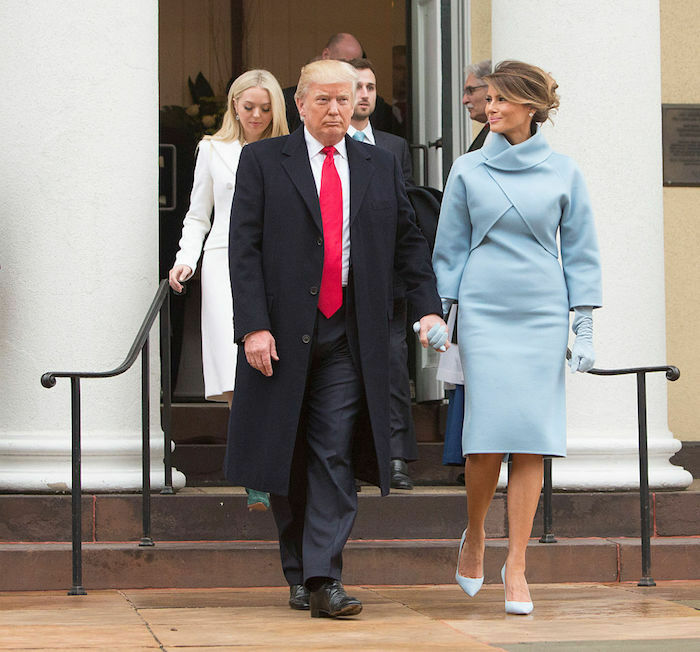 Melania Trump channeled Jacqueline Kennedy Onassis in a powder blue dress and matching gloves designed by Ralph Lauren for her the inauguration. Mrs. Trump looked gorgeous in the flattering ensemble as she accompanied her husband to the capitol on the morning of January 20th. However, Donald Trump still has not figured out how to make his tie the appropriate length. 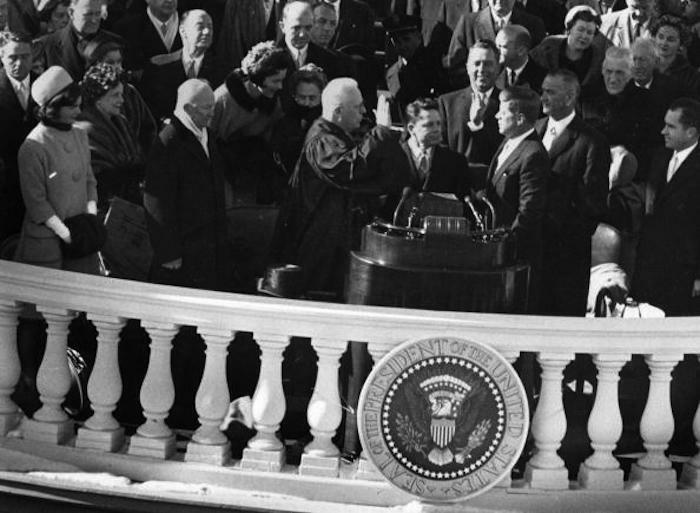 Jackie O. also chose a light blue dress for her husband's inauguration in 1961. Jacqueline Kennedy is pictured on the left. For a moment there, it almost looked like Melania Trump would have to–gasp!–wear something out of her own closet when it multiple designers publicly announced they would refuse to dress Mrs. Trump. 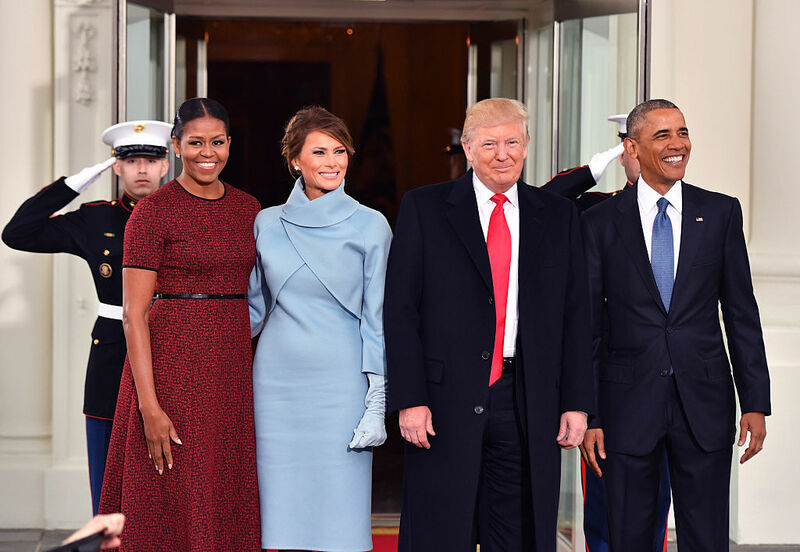 However, Karl Lagerfeld and Ralph Lauren both said that they have no qualms with outfitting the new First Lady of the United States. She opted with a piece from the Ralph Lauren Collection, the designer's most expensive label. Meanwhile, Twitter had a field day with Kellyanne Conway's rather political eyesore outfit.